Produkttyp Batterielebensdauer Marke Swiss Arms Leistungsspannung 9,9V Stromstärke 900 Batterietyp Lebensdauer Anzahl der Sticks 1, 2, 3. Durch die 4fache Vergrößerungsmöglichkeit und individuell regelbare Bildschärfe geht jeder Schuss ins Schwarze. Das Zielfernrohr hat eine mattschwarze, leicht gummierte Oberfläche und ist aus stoßfestem Material. Swiss Arms Optik 3-9 x 40 wasserdicht. SWISS ARMS. Länge: 248mm. Simply attach to your RIS rail in front of your scope to block and protect your scope from BB’S. Swiss Arms Lens Protector. Fits any 20mm rail. Part #288810. Swiss Arms Magazine P92 (4.5mm) 21 BBS. Swiss Arms Revolver Holster. Colour: Black. Right hand version. Version 6”. Length: 180mm. SWISS ARMS Barrel Extension. Logo: Swiss Arms. Thread: 14mm Counter Clockwise. Swiss Arms Dot Sight Magnifier 3x. Coated anti-reflective lens: Yes. Color : Black. Length : 143mm. Swiss Arms Red Dot Sight. Fits 20mm Picatinny Standard Rail. 11 Levels of brightness. Length 100 mm. Originally designed for the AR15 type Airsoft guns. 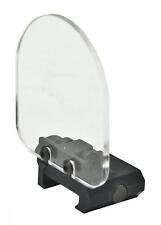 like a red-dot sight higher, Fits any 21mm Rail. Swiss Arms Rise Rail. This mounts on-top of the receiver rail and provides a 25mm. higher rail for lifting any aiming devices. 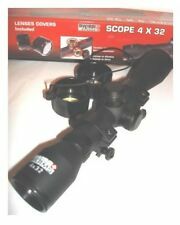 SWISS ARMS COMPACT SCOPE 3-9 X 42. Scope Mounts Included 11 & 20 mm. Illuminated Mil-dot (5 levels of intensity). Red & Green Illumination. Part #288812. Swiss Arms Magazine P84 / P1911 Co2 4,5mm 20BB's. SWISS ARMS FOLDABLE AIRSOFT SHOOTING TARGET. Free Standing Target. Target insert size 172 x 172mm. Usually targets are considered a consumable; shoot them until they've degraded and replace. On the back of the target is a pre-drilled space to hang it up, allowing you to set up multiple targets with ease and test your speed! SWISS ARMS SOFT GEL TARGET. Sticky Target. Swiss Arms Remote Torch Switch Cable. For Swiss Arms Torch 263926 and 263927. Remote switch cable. Swiss Arms Offset Ring Torch Mount For 25.4mm to 30mm. Single thumb nut secures mount to weaver/picatinny style rail. Colour: Black. GOOB Silencer for Mauser / SA1 Bolt. Swiss Arms GOOB Barrel Extension. For Airsoft Use Only, Cannot be Adapted or Modified for any other purpose. 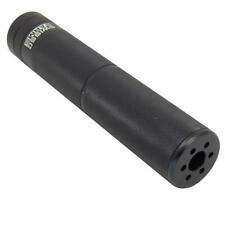 Silencer with internal thread allowing to insert a large part of the barrel inside. On the top of the target is a pre-drilled space to hang it up, allowing you to set up multiple targets with ease and test your speed! A fold out stand ensures that the target is stable when firing. Tamyia Connector. 9.6 Volt 1600mah. For Airsoft Use Only, Cannot be Adapted or Modified for any other purpose. Swiss Arms Tactical Fore Grip Non-Slip. Fits all 22mm Weaver rails. Manufacturer: Swiss Arms. Made of aluminum with padded foam handle. Fits any 21mm Ris Rail. A comfortable ergonomic front rifle grip. Swiss Arms Front Vertical Folding Grip. Color: Dark Earth. Swiss Arms Ris Quick Detach Sling Mount. Allows you to attach a sling to your RIS Rail. Fits any 20mm Rail. Swiss Arms Drop Leg Holster. Robust tactical drop leg holster. Colour Black. Holds 6 Revolver shells. Item Color: Black. Swiss Arms Offset Light Mount. Single thumb nut secures mount to weaver/picatinny style rail. Colour: Black. Compact Lightweight. Swiss Arms Red Dot Sight. Fits 20mm Picatinny Standard Rail. Coated lens. SWISS ARMS QUICK DRAW TACTICAL VEST. Colour OD Green. 1 Small Utility Pouch. One Size fit All. Fully Adjustable. SWISS ARMS 3-9 X 40 ILLUMINATED SCOPE. Swiss Arms - 3-9x40 Compact Scope. Length 210mm. 5 Levels of Mil-Dot illumination brightness, Red & Green. Aluminium body. Swiss Arms (Bolle) Anti-Fog 30ml. If you've ever played airsoft, odds are you've encountered the plague that is fogging up. Simply spray a small amount onto each lens, rub it in and leave to dry. Besoin de vous entraîner au tir sur cible ?. Une cible autoadhésive ! Swiss Arms Red Dot Sight. Fits 20mm Picatinny Standard Rail. 11 Levels of brightness. Coated lens. Length 100 mm.